Music Educators from South Dakota, Nebraska and Iowa collaborate and support one another through professional development to inspire the creative potential of all learners. Victoria Hyder is entering her 5th year of teaching and currently teaches Elementary Vocal Music at Oscar Howe in Sioux Falls. Originally from Akron, Ohio, Victoria received her bachelor’s degree from Baldwin Wallace University in 2014. She also got her Orff 1 certification from Baldwin Wallace. Victoria has been a member of Sioux Valley Orff and AOSA for the past year and looks forward to being Vice President for the chapter! In addition to these groups, she is also a member of NAfME and is Elementary Elect for SDMEA. Victoria values Orff because it allows students to learn important music concepts through fun activities such as playing instrument, learning movements and dances, and playing games. Along with teaching, Victoria also spends time cooking, doing various outdoor activities, and cuddling with her cat, Zoey! Matthew Baker is a relative newcomer to Sioux Valley Orff, but he definitely appreciates the opportunities the chapter provides for sharing and learning with fellow music educators. He is pleased to be a member of the board. Matthew earned a bachelor's degree in music from South Dakota State University and his teaching certification through Black Hills State University. He lived and taught in Rapid City for five years, during which time he was a member of the Black Hills Orff chapter. He and his wife, Pamela, moved back to Brookings in 2013, where he teaches general music for junior kindergarten through third grade at Dakota Prairie Elementary. Outside of school, Matthew is active in many ways at Mt. Calvary Lutheran Church, enjoys being outside, and loves spending time with his two young sons. Donna graduated from Ramona High School and went on to college to sing in the Pasquettes Women’s Choir, Concert Choir and Opera Workshop. Donna graduated from South Dakota State University with a Bachelor’s degree in Music Education. She has sung with the Madison Master Singers and the Street Side Band. Donna currently plays the organ and piano for church services and is involved in her church contemporary worship team, The Messengers, in which she plays the guitar & sings. She has also judged many pageants in South Dakota, as well as piano and instrumental contests. Donna has taught music for 25+ years, in various roles for Preschool – 12th grade band and vocal music in Waubay, Oldham-Ramona, Canistota, Montrose, Orland Colony and St. Thomas Catholic School. She is a co-director of the Madison Community Summer Band and is currently teaching elementary vocal and instrumental music at Howard Elementary School. Donna lives in Madison with her husband and son. She has been a member of the Sioux Valley Orff Chapter for two years and will serve on the board as secretary. She enjoys attending the workshops because it gives her fresh new innovative ideas to teach to her students. Kelby is currently the K-12 general and vocal music instructor in Garretson, South Dakota. 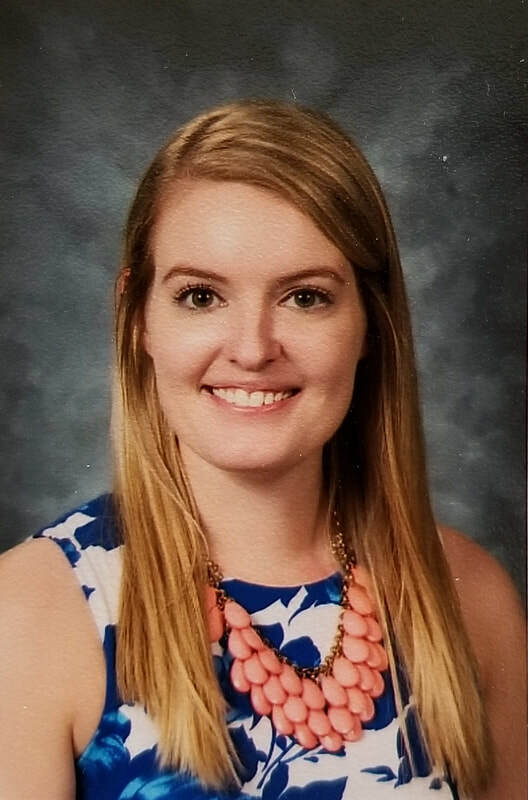 She learned about the Sioux Valley Orff Chapter through other music teachers in the area and feels that it inspires her teaching and helps her to connect with other teachers to share ideas and learn from one another. The chapter also inspired her to go begin her Orff levels. Kelby graduated from Northwestern College in Orange City, IA. Besides teaching, Kelby is a private piano, voice, and saxophone instructor, directs the one act play, plays saxophone with the High Plains Woodwinds in Sioux Falls, and is involved in music at her church. She also enjoys walking, biking, traveling, gardening, crafts, coffee, tennis, board games, and spending time with friends and family.